U.S. District Judge for the District of Connecticut Justice Janet Bond Arterton, handed down a very pointed and decisive opinion hammering the R.I.A.A. for its boilerplate style of pleading in the nationwide wide campaign against illegal file sharing. Justice Arterton was appointed by President Clinton in 1995. The full decision is here: Decision. At several key junctures in the opinion, Justice Arterton based her opinion on the fact that the Plaintiff’s complaint was based on “information and belief” rather than direct evidence. The two areas of concern in the opinion, one is whether to grant a default judgment under Federal Rule of Civil Procedure 55(b)(2) and the second is whether the complaint fails to state a claim for which relief can be granted under Rule 12(b). The granting of default judgment is generally almost a “rubber stamp” kind of process. If the defendant is properly served and fails to respond to the complaint, a default judgment is almost always automatic. If the complaint demands an exact amount as judgment, the default judgment can even be entered by the court’s clerk under Rule 55(b)(1). If not, then the court holds a hearing to determine the amount of damages under Rule 55(b)(2). In this instance, however, the court stepped in and took it upon herself to examine the validity of the claims. Reasoning from a 2nd Circuit case, Au Bon Pain Corp.v. Artect, Inc., 653 F.2d 61 (2d Cir. 1981), the court found that the default judgment process is not, in fact, automatic, but that “a district court has discretion . . . to require proof of necessary facts and need not agree that the alleged facts constitute a valid cause of action.” Artect, at 65, citing Wright & Miller, a well known legal treatise on procedure. The more telling section of the opinion is the court’s ostensibly sua sponte (i.e., of its own accord) analysis of whether the Plaintiff’s complaint failed to state a claim under Rule 12(b)(6) of the Federal Rules of Civil Procedure. This rule generally gives the defendant a right to raise this defense in a response to a complaint. Ostensibly, the court raised this issue in the context of possible meritorious defenses. Plaintiff here must present at least some facts to show the plausibility of their allegations of copyright infringement against the Defendant. However, other than the bare conclusory statement that on “information and belief” Defendant has downloaded, distributed and/or made available for distribution to the public copyrighted works, Plaintiffs have presented no facts that would indicate that this allegation is anything more than speculation. 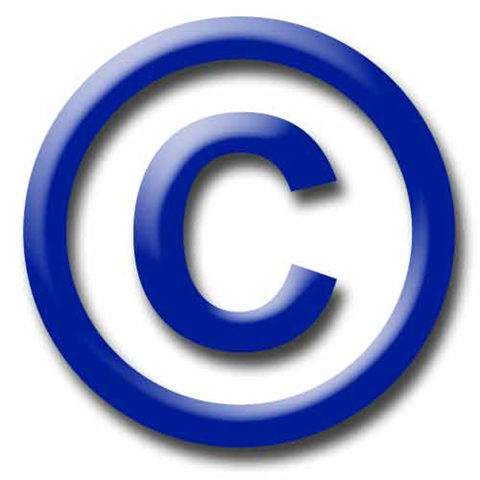 The complaint is simply a boilerplate listing of the elements of copyright infringement without any facts pertaining specifically to the instant Defendant. The Court therefore finds that the complaint fails to sufficiently state a claim upon which relief can be granted and entry of default judgment is not warranted. Eric Bangeman, of Ars Technica reports that the RIAA plans to file a brief, probably accompanying a motion for reconsideration, and possible an amended complaint, as they did in Interscope v. Rodriguez. The amended complaint provided additional details about dates, times, and IP addresses. Whether the additional details of that amendment will alter the application of Rule 12(b)(6) is still unknown, as the judge in that case has since retired. Nashville Mayor Announces "Country Radio Week"
Nashville Mayor Karl Dean issued a proclamation declaring the week of March 3, 2008 “Country Radio Week.” The mayor will present the official proclamation to Country Radio Broadcasters, Inc.’s Executive Director Ed Salamon and President Becky Brenner when he officially welcomes attendees to the 39th Country Radio Seminar (CRS-39) on March 5th. The 39th Country Radio Seminar takes place from March 5th through the 7th at the Nashville Convention Center. This honor reinforces the reputation of the Country Radio Seminar as the premier forum for education and information for members of the country music industry. Along with continuing education panels for industry professionals, the 39th Annual Country Radio Seminar agenda includes research presentations, artist showcases and discussion forums. Issues that impact country radio sales and programming, as well as the record industry in general, will be covered during the three-day event. Agenda and registration details are available at www.crb.org or by calling the CRB office at 615-327-4487. The U.S. House of Representatives introduced a 69-page bill entitled the “Prioritizing Resources and Organization for Intellectual Property Act of 2007.” The legislation is significant in that it increases civil penalties for copyright infringement, expands criminal enforcement, and creates both a new federal agency and a new division of the Attorney General’s office of the Department of Justice. The full text of the proposed legislation is here: H.R. 4279. I have established an RSS feed in the column of my blog for tracking purposes. It is important to realize that, up front, that this is proposed legislation. This is the first step in the legislative process. The first step in the life of a bill, if you recall your Schoolhouse Rock song, I’m Just a Bill, is referral to a committees that deliberates, investigates, and revises the proposed legislation before it is recommended that it proceed to general debate by the full House of Representatives. This process can take a long time, or get stalled. In fact, the majority of bills never make it out of committee. The ones that do often do not resemble the proposed legislation very much at all, as sometimes the text goes through numerous iterations before it gets recommended, if at all. Other times, sections of a proposed bill may be incorporated into another bill, and in those cases the original bill, as it was introduced, is abandoned. That is say that a lot can happen before this process ends. Once a bill is approved by the House of Representatives, the process starts all over again in the Senate! * TITLE I—Enhancements to Civil Intellectual Property Laws One of the more significant amendments to Section 104 of the Copyright Act, pursuant to this proposed legislation, is that it would allow courts to make “multiple awards of statutory damages” when compilations are infringed or when both derivatives and the original are infringed. TITLE II—Enhancements to Criminal Intellectual Property Laws This is one of the more extensive expansions of the proposed legislation, allowing for stricter enforcement of willful, criminal infringement. This title is perhaps the most sweeping part of the proposed legislation. The effect would be the creation of a new federal bureaucracy called the United States Intellectual Property Enforcement Representative (other reports state that is it called the “White House Intellectual Property Enforcement Representative, or WHIPER, but that designation does not appear in the proposed legislation). The head of this new agency would be a member of the Executive Branch and, therefore, would be appointed by the president and confirmed by the Senate. The new post would report directly to the president and serve as his or her principal advisor and spokesman regarding intellectual property matters, including, for example, identifying countries that don’t adequately protect IP rights or are not in compliance with international treaties. As part of this new agency, a new “interagency” committee would be established for the purpose of intellectual property enforcement. The new committee would be composed of the enforcement representative, who would chair the committee, and senior representatives of various departments and agencies involved in intellectual property enforcement, appointed by the respective heads of those departments and agencies. Those agencies include the DOJ, the Trademark Office, the Copyright Office and Homeland Security, just to name a few. Under this section, the Trademark Office will appoint 10 intellectual property attachés to serve in United States embassies. The 10 appointments shall be in addition to personnel serving in the capacity of intellectual property attaché at United States embassies or other diplomatic missions on the date of the enactment of this Act. In this section, the proposed legislation would created within the U.S. Justice Department’s an “Intellectual Property Enforcement Division” to subsume the IP-related functions that the department’s computer crime section in the criminal division currently performs. The new division would receive $25 million per year to start with. This is by no means an exhaustive analysis of this proposed legislation, so take the time to read it for yourself and, if appropriate, contact you local representative to comment on the proposed legislation.